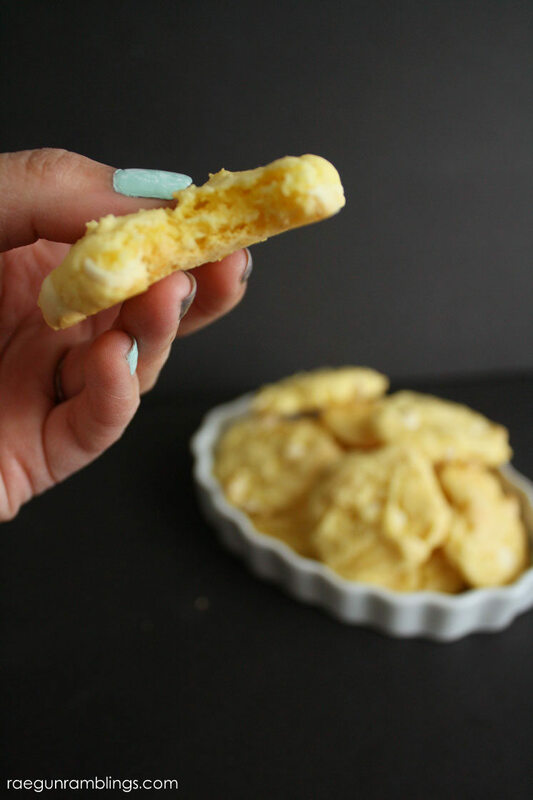 My friend gave me the easiest recipe this week and it was so tasty I had to share! 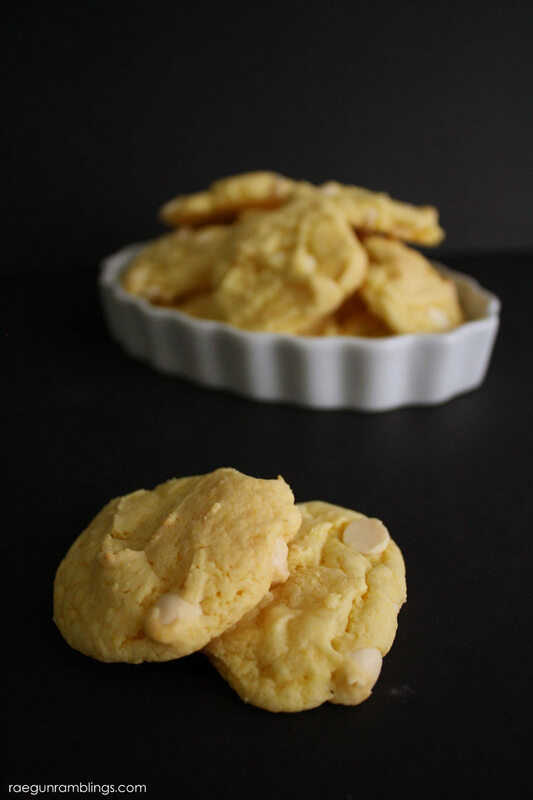 This lemon white chocolate cookies recipe is definitely a keeper. 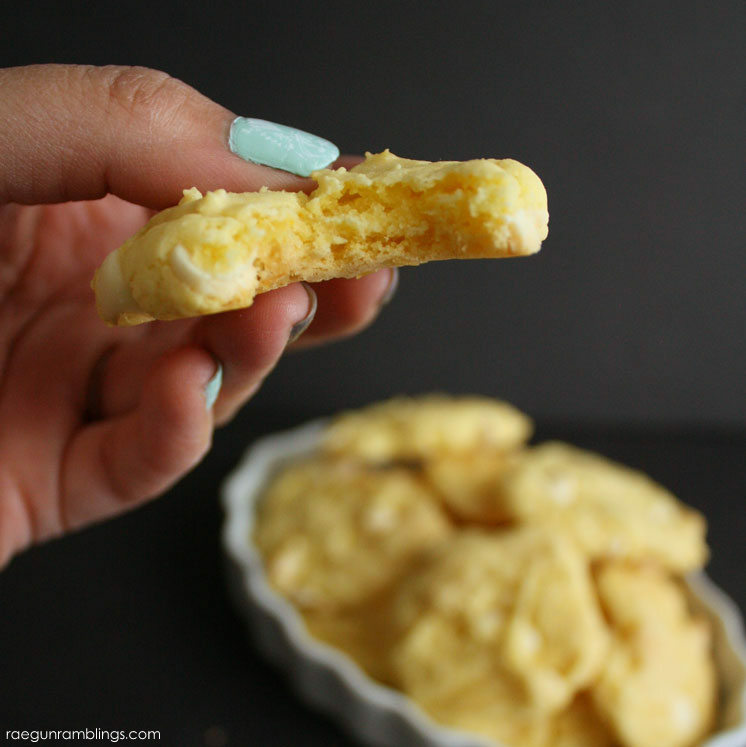 I’m heading to Jen from Tater Tots and Jello’s annual Cookie Exchange in the morning and when I mentioned to my friend I didn’t know what cookies to make she told me about these amazingly easy and yummy morsels she had recently cooked up. ANd they really were super yummy and easy. So I will pass them on to you. Mix everything together except for the chocolate chips. Once everything is well combined stir in the chocolate chips. Drop into 1 inch balls and cook at 350F for 8-10 minutes. So quick and easy. And I highly recommend cooking these on parchment paper. The few that didn’t make it on the parchment browned up much faster underneath and I liked the softer finish of the ones on the parchment paper. No doubt I would love these! Lemon and white chocolate are on of my favorite combos. Um, yum! 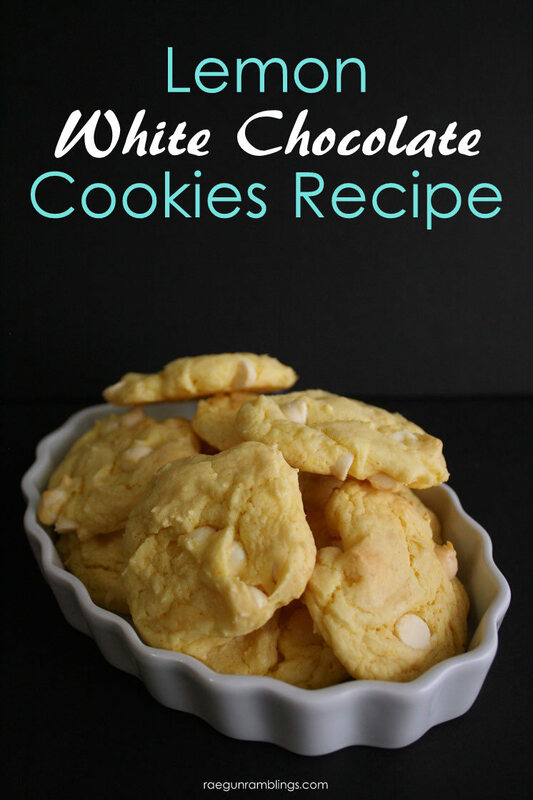 I love white chocolate anything, so these are right up my alley. :0) Thanks for sharing with us at the Merry Monday Link Party! Hope to see you again on Sunday!